I’ve been a Mary Kay user for years- I have been a fan of their Oil Free Eye Makeup Remover and their skin care, but seriously, their packaging and gift with purchases always captures my eye! 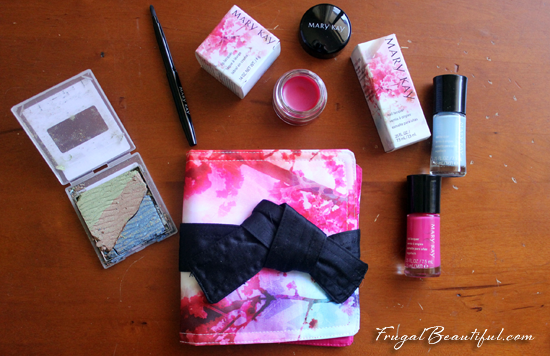 I absolutely fell head over heels in love with their new Zen In Bloom Collection for Spring 2013- the Obi carrying case is just stunning in watercolor cherry blossoms, and the colors of the palette just breathe new life into my neutral winter tones- I love the cherry blossom pink and gorgeous sky blues. The colors go on gorgeously and I absolutely am in love with the lip lacquer and retractable brush- it’s a layerable color that will perk up any of your winter lip colors and add a fabulous glossy finish! These would make fabulous gifts for Mother’s Day (it’s coming up on May 12! ), graduation or to just treat yo’self. To snag these beauties- find a local Mary Kay Consultant but I know I’ll be in touch with mine! I received this product for the purpose of review, opinions are entirely my own. 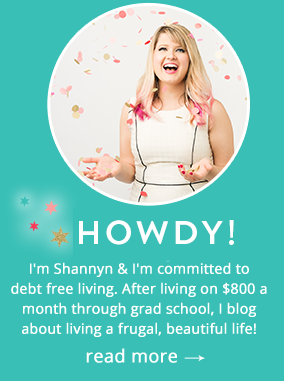 Sponsor Frugal Beautiful For April- Blogger and Etsy Discounts Available! Those are pretty!!! I hope my kids get me some for Mother’s Day..should I start dropping hints? I haven’t used Mary Kay in awhile but used to love their Velocity line when I was in college!